Speed variator for direct current loads of one quadrant. 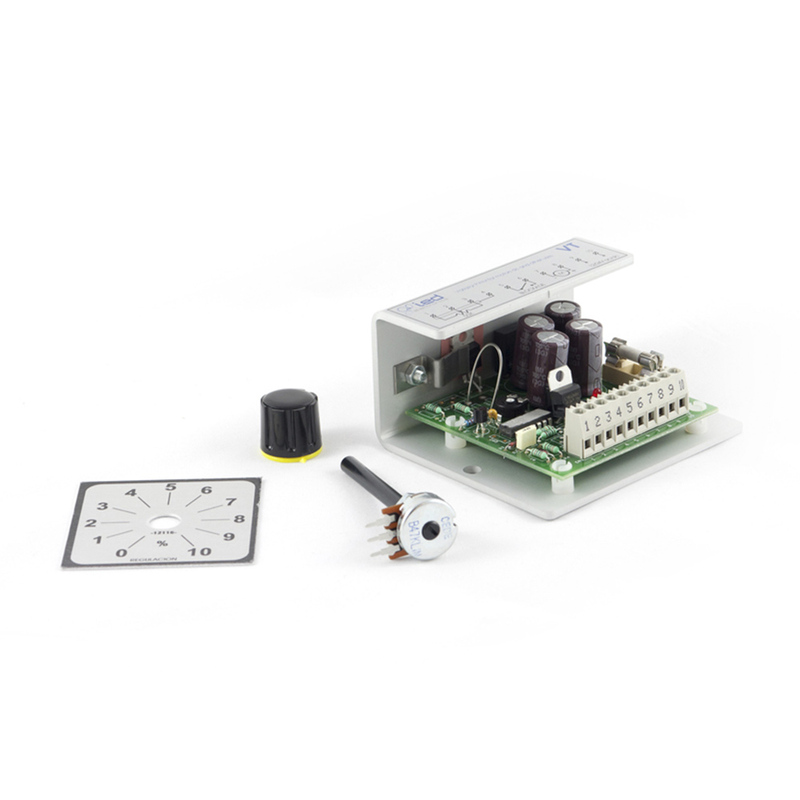 Regulation is controlled with a 47 kΩ potentiometer supplied with the equipment. The output voltage varies from 0-100% using the pulse width modulation (PWM) technique. The piece of equipment is a block that includes a control card and a power MOS-FET transistor to feed the load. The transistor provides great efficiency, which makes the equipment ideal for industrial applications where you want to precisely control the current supplied to the load. The VT can be used in any direct current motor, for feeding electromagnets, electro valves, resistors, lamps or any continuous load where you want to regulate power.